A will is a formal document that outlines what happens with the details of your life if you pass away. This could include who takes guardianship over your kids, who gets the keys to your vacation home, or what happens to Sparky, your pet iguana. Unfortunately, nearly 6 of every 10 Americans don’t have a will, according to a recent Caring.com survey. Without a will, these Americans are putting their estates in the hands of the the state, which can end up costing those they leave behind plenty of outstanding bills and headaches. Even if you have a life insurance policy with named beneficiaries, it’s not enough. While it’s true that your life insurance beneficiaries will get the policy payout, the remainder of your belongings, bank accounts and personal or business matters aren’t covered by your plan and need to be designated in a will. Luckily, it’s quick and easy to create a legally-binding, free will that outlines your wishes and allocates your assets. When you’re thinking about how to create a free will, there are a few guidelines to make sure it’s a legally binding document that will hold up in court. The first contingencies are that you must be at least 18-years-old, free of any mental disease or mind-altering substances and free from any type of coercion. Next, consider the format. A typed, written will is the most likely to hold up in court, as it’s recognized by all states. Make your will official by using definitive statements like, “I declare that this is my last will and testament” and including the date and place of signing. After you’ve typed up your will, or used one of the many software tools available to create a free, DIY will, you must sign it in the presence of two (or in some states, three) witnesses. These witnesses should not be inheritors of your assets, as that has the potential to create a conflict of interest down the line. 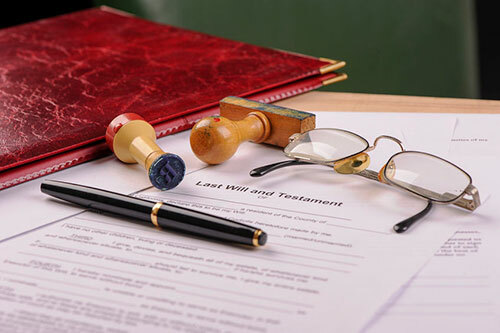 Few states accept handwritten - or holotropic - wills that aren’t signed, and while the use of video wills are gaining in popularity, they aren’t accepted in all states and should be used only as a supplement to your written will. In some states, an oral will (often dictated on someone’s death bed) is also deemed acceptable, though it’s up to the discretion of the courts. Your best bet to ensure your will is executed properly is to opt for a typed, signed and witnessed will. You’ll also need to check your state laws to see if you need to have your will notarized. While many states don’t require this, a notarized will becomes self-proving, meaning the will can be carried out after you die without your witnesses appearing in court. Now that you have a good idea of how to make a will legally binding, what information should you include in your will? The name of the person who should execute your will. This person will be responsible for making sure the will is carried out according to your plan. Often, people enlist family members or close friends to act as their executor, though it’s not uncommon to ask a professional advisor. What happens if a beneficiary dies before you do? Think about whether you want their living family to receive the asset or if it should go to someone else entirely. How can you be certain your last wishes are met after you pass? Having the “right” type of will in place (written, self-proving) is the largest assurance, but it’s not the only step to take. Your will also needs to get into the right hands and be stored in a safe place. While the original document can be kept in a waterproof, fireproof safe in your home, you should distribute copies to your family, close friends, attorney and executor. If you’re concerned about arguments over the will, it’s a good idea to include a “no-contest clause” so those left behind can’t fight over what you’ve written. While they’re usually not legally binding, a letter of instruction that’s less formal can also be included. Letters of instruction dictate more details about the specifics of who gets what, including any circumstances. For example, you could stipulate that your niece doesn’t get any money until after she graduates college, or leave instructions on the way you hope your children will be raised. Designing a will is easier than ever thanks to online templates that make doing-it-yourself a breeze. You can also get in touch with your state’s department of aging, as they often have free resources about how to establish a will. When working on generating your will online, opt for templates that use clear, easy-to-understand language and offer tools that make it simple to change your will, if needed. While it’s possible you’ll never change your will, you may want the opportunity to make updates, such as adding new children or removing a spouse in the case of divorce. The hardest part of creating a free will is deciding how you want your many assets allocated, but these days, the actual process of making your will can be quick, painless and totally free of cost.